Are you “cloud-averse” and want to continue to experience secure, on-premise video conferencing along with the latest collaboration features? Compunetix is excited to announce the launch of a new Video MCU Trade-Up program, where you can exchange older Lifesize video conferencing MCUs that are currently end-of-life – specifically Lifesize Bridge 2200 or Lifesize® UVC Multipoint™ units – for credit against a brand new EVERGREEN Video Collaboration System. By participating in the Compunetix Video MCU Trade-Up program, you will experience first-hand the benefits of using a solution that will never see an end-of-life notice, enabling you to enjoy a long life-cycle, low total cost of ownership and rapid return-on-investment. Compunetix is committed to providing lifetime support to the products you choose today. Compunetix Trade-up Program offer is only available for a limited time. Interested parties can request a FREE quotation from Compunetix which will include a trade-in credit that will be applied towards the purchase of a Compunetix EVERGREEN solution. The EVERGREEN family of products has been architected to meet the diverse needs of the videoconferencing industry. From enterprise users to collaboration service providers (CSPs) and government agencies your workforce and customers expect to be able to interact and collaborate wherever they are. The EVERGREEN line represents the widest array of collaboration infrastructure options designed to meet your specific needs. Three models enable you to create powerful collaboration with HD voice, video, content, and streaming collaboration. Launching a cloud service or growing into your own premise requirements? Our Infrastructure collaboration products and services deliver industry interoperability with access from any device. 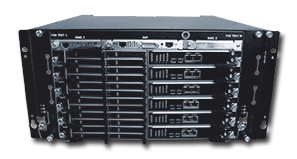 The blades Compunetix specifically engineered for the systems are unique and provide a high bandwidth and richly interconnected internal switch fabric for investment protection and optimized scalability. 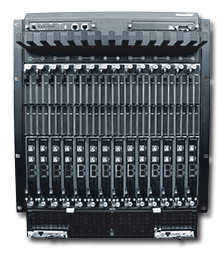 The modular architecture also allows the EVERGREEN products to support multifunctional capabilities without the need for separate gateways, storage, or playback devices. EVERGREEN products are strong enough to support your services, while still flexible enough to grow along with your business. Tailored to meet the needs of the enterprise market, the Cedar facilitates reliable, feature-rich video conferencing for small businesses looking for an innovative in-house solution. With the Cedar system, you can finally experience the cost-savings and added security that comes with owning your own equipment. With its modest footprint, optional full redundancy, and expanded growth capacity, the Cypress is the ideal video conferencing platform for medium-sized businesses and small service providers. Featuring multitennant and multiple network support, the Cypress system enables you to partition resources among departments or customers with ease. The largest member of the EVERGREEN family, the Sequoia, is a massively scalable video conferencing platform crafted to fulfill the ever-growing needs of large businesses and service providers. Incorporating full redundancy into its carrier-class design, the Sequoia can seamlessly support both attended and unattended video conferencing. With the greatest growth capacity of the EVERGREEN line, multiple Sequoia systems can scale to thousands of video ports.